Email marketing is one of the few things that modern businesses can’t avoid. There’s no denying it – data proves that it’s one of the best and least intrusive channels to reach your customers. 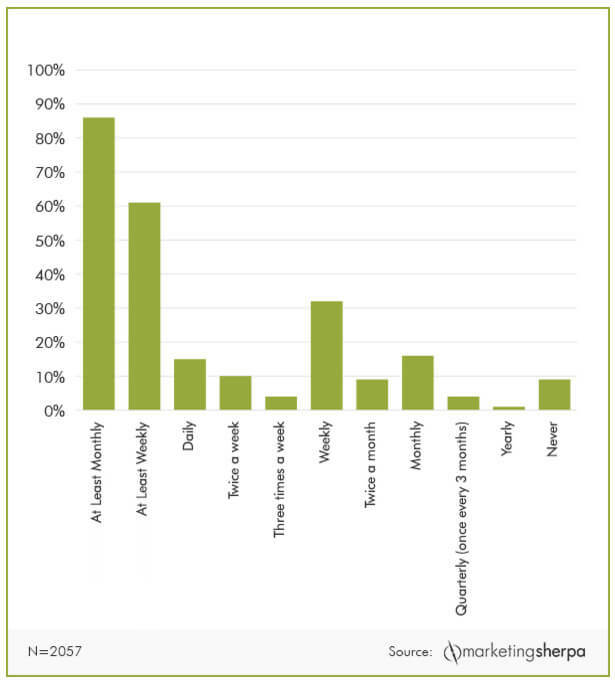 According to MarketingSherpa’s latest research, the overwhelming majority do want to receive promotional emails of. It’s quite simple really – consumers are able to easily track trends and innovations if they’re reading your newsletters at least weekly. ‘96% of people earning $75,000 – $99,900 would like to receive promotional emails from companies they do business with 92% of people earning $100,000 or more would like to receive promo emails’. How often customers want to receive promotional emails. As you can see, the majority (over 60%) of people want to receive newsletters at least weekly. Quick tip: You should segment the audience that engage the most with your emails. If you’re looking for some more information on segmentation and how email marketing automation can help you, here’s a quick read: Personalize Your Automated Email Marketing Campaigns . The results of this survey are quite unexpected when you think about it – almost counter-intuitive. Even more reason to invest more time to email marketing. With that being said, using an Excel sheet and Gmail to send your emails won’t quite make the cut nowadays. To execute email marketing properly, you have to choose the best email marketing provider. With so many providers out there, the choice is harder than ever to make because new providers appear each year. There was a total of 438 ESP’s registered by Email Vendor Selection in February 2018 and that’s low balling it. The actual number – taking into account the currently unconfirmed, smaller or more niche providers could double or even triple. So, without further ado, let’s talk about the thing you came here for – main points to consider when looking email marketing software. In recent years, people have become tethered to their smartphones. Some people’s only access to internet is via their phone – they just don’t need personal computers anymore. There are 2.6 billion email users in the world, but only 900 million of them are desktop computer users. Can’t have a provider that allows you to create emails that get distorted when viewing emails on a smartphone. In simple terms, the GDPR (General Data Protection Regulation) was created to harmonize data privacy laws across Europe. The aim here is to protect the data of EU citizens and to reshape the way organizations across the region approach online privacy. The GDPR will become enforceable on May 25th, 2018. So there still is time to adapt to the new changes. The penalties for not complying with the GDPR are severe – up to 20 Million Euros or 4% of global annual turnover, whichever is higher. The GDPR applies to you even if you’re not based in the EU – it’s enough to have EU subscribers in your mailing list. Most providers don’t just give you a separate IP address to send from (unless you are willing to pay extra for it). That means that other users that are sending from the same IP range you’re sending from also influence your performance. 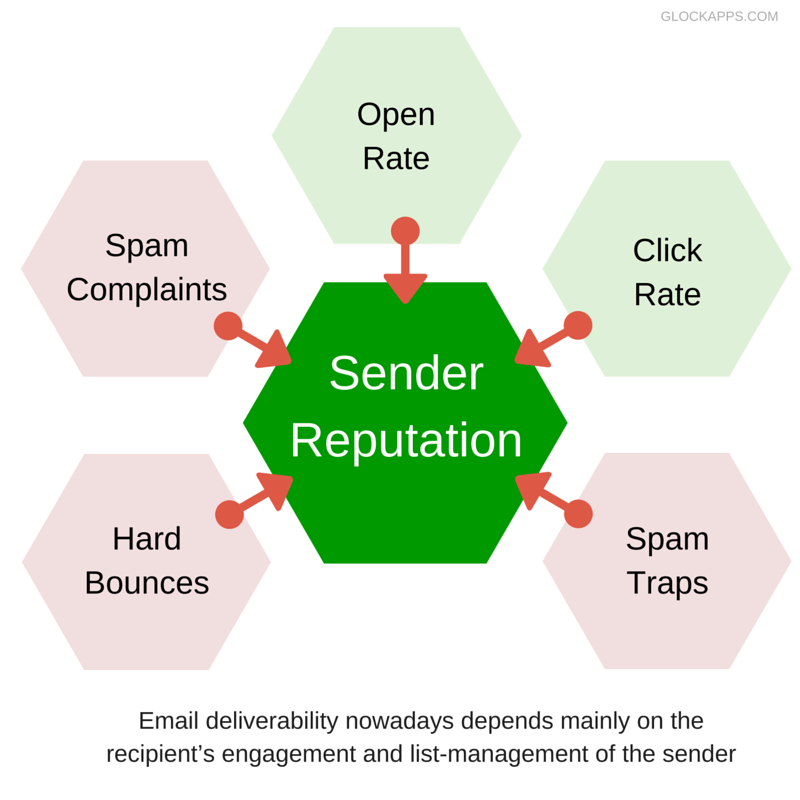 In theory, the effectiveness of your email campaigns could be compromised. If you pick a provider that allows shady senders to send through their servers, it will effect you too. Sounds unfair? Well, it isn’t as unfair as it sounds. In order to be as user-friendly as possible, most inboxes have a strict filtering system that filters out most of unwanted mail. That’s why you need to think about what kinds of people usually send through a certain provider and if it’s worth risking by choosing one of the huge providers. Keep in mind that one bad apple can spoil the bunch. Nevertheless, the filtering is good for the consumer, therefore it’s good for everyone, right? Be sure to give their article a read – About Sender Reputation. Wondering how to test the Sender reputation? The only real way is to segment your current database and to send the test list a new campaign from the new provider. Compare the metrics with your old provider. If you were able to increase the click-through rate with your new choice, then perhaps it’s time to make the switch. Have you ever encountered a user interface that was impossible to understand? That’s a problem a lot of providers face – they struggle implementing an intuitive approach to their software. It doesn’t matter how good the functionality is. If people get lost in the interface, they can’t do the things they want to do quickly. This means they lose time, energy and can lead to frustration. Experiment with a few email marketing providers to find out which are easy to use, which aren’t. Here’s a list of 20 most user-friendly providers – try at least the top three. Email marketing automation is a thing that most professional marketers can’t imagine their lives without. And for good reason – it will save tons of your time while not compromising the overall quality of your email marketing campaigns. Needless to say it’s an excellent way to convert your leads into buyers and increase your brand recognition. You just need to put some work into it. A study from Demand Gen Report states that more than half of US B2B marketers say that lead nurture campaigns perform between 10% and 30% better than regular campaigns. Keep that in mind! Fortunately, if you’re looking for a reliable email marketing automation, you should check out Sender. Brand new email automation is a top notch feature that set the industry standard of how automation should be done.